This item was purchased from India, so it is likely that the eyedropper filling mechanism was developed for the 'colonial market'. The barrel has Summit S.200 engraved just below the clutch ring. It appears that for the home market the model was, somewhat unusually for Curzon, of the button filler type. 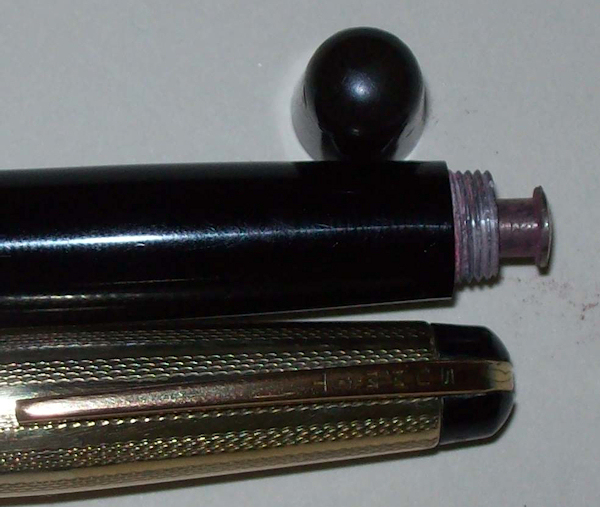 This does not appear to carry the model details below the clutch ring, but otherwise it appears very similar to the eyedropper shown above.